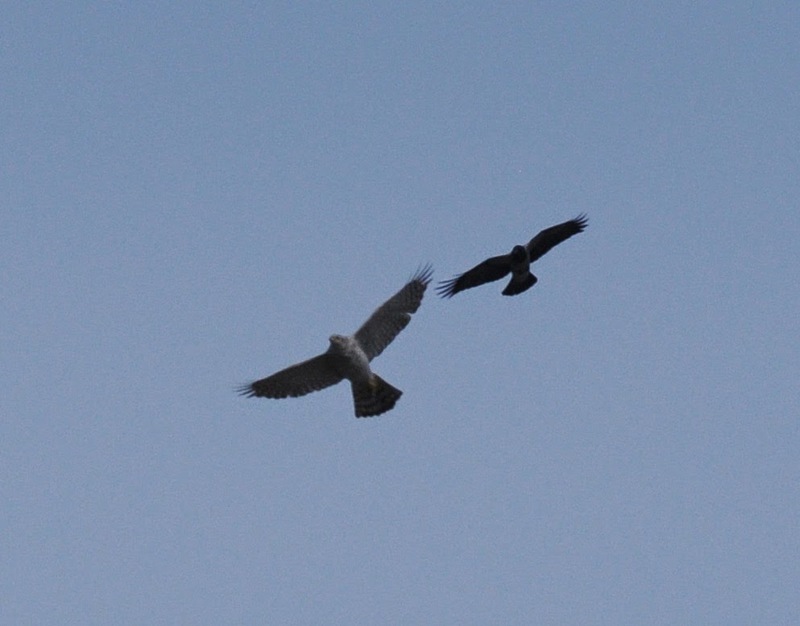 Not many changes, with most attention focused on the magnificent Goshawk, which was seen once each day in the Holland House area before possibly departing to the south in the better weather on the 29th. 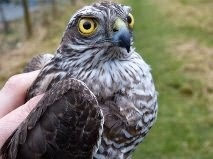 A Woodpigeon was the only new arrival on 28th, with a Chiffchaff and 8 Goldcrests the most notable passerines on 29th. Old favourites continuing to feature include the Tundra Bean Goose, 2 Greenland White-fronted Geese and the 7 Barnacle Geese all on the latter date. An end to the sunshine and a blast of easterly winds and light rain on 26th did the trick with grounding a few birds. Our first Wheatear at West Beach and Chiffchaff at Garso were right on cue, and there was also 15 Goldcrests, 38 Blackbirds (mainly adult males) and 6 Song Thrushes also recorded during the afternoon census. At least 1 Greenland White-fronted Goose was still present with a juvenile Glaucous Gull at the north end assumed to be one of the regular birds. 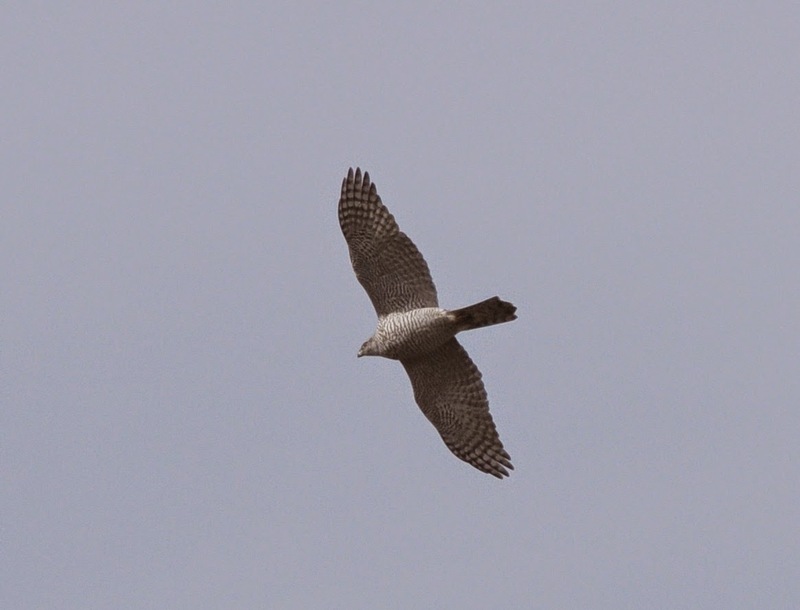 By 28th, and with an improvement to generally sunny weather in moderate south-westerly winds approximately half the number of migrants remained but the islands 11th Goshawk (a tricky species to identify with confidence in these parts with larger than average Scandinavian Sparrowhawks often causing confusion), an adult photographed over the Links Golf course mid-morning was a clear highlight. Sadly it seemed to pass straight through but the Black Redstart from a few days ago was still at Hooking, with a Rook nearby while a Jack Snipe at Westness was the first in a while. New arrivals have been at a premium but daily signs of encouragement are better than nothing! Pick of the birds on offer have been a juvenile Iceland Gull on 23rd, the first Collared Dove of 2015 on 24th and Black Redstart, Goldcrest, 2 Chaffinch and 8 Whooper Swans (5 new birds) all on 25th. Long-stayers have been the Geeen-winged Teal daily, the usual juvenile Glaucous Gull on 24th and 25th with the Tundra Bean, 2 Pink-footed, 2 Greenland White-fronted and 7 Barnacle Geese also all still in residence. 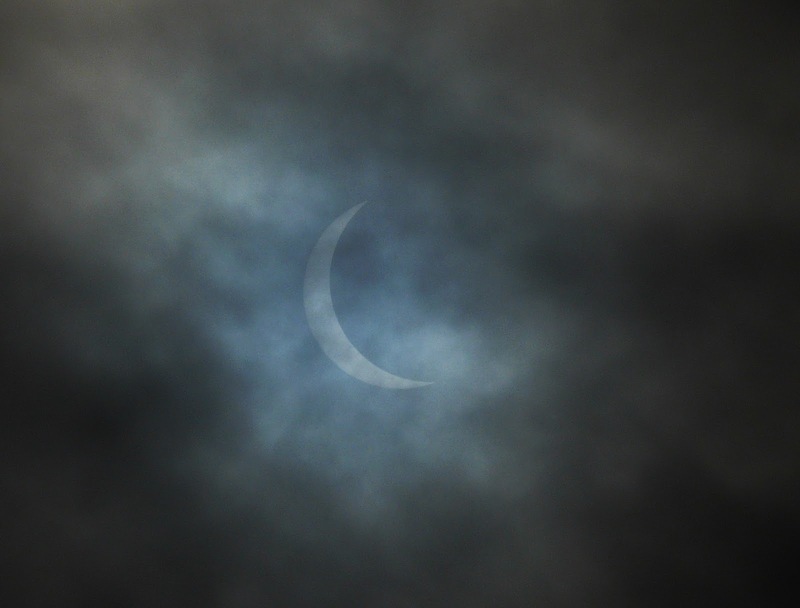 There's not been a great deal of change recently, despite the real mixture of weathers. 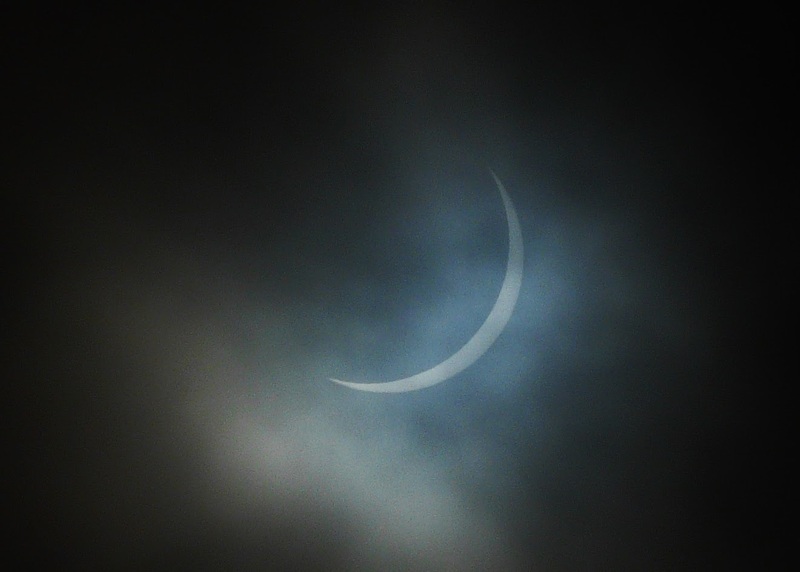 On 20th, the partial, solar eclipse was a nice distraction in the morning while the pick of the ornithological sightings were the first Sandwich Tern of the year in Nouster Bay, the Green winged Teal, 2 of the of Greenland White-fronted Geese and 2 Glaucous Gulls (including a new juvenile on the west coast). Despite the glorious weather the 21st was surprisingly quiet with noting of note, while attempts to get out birding on the 22nd were futile and largely hampered by the heavy rain. Not much was seen with a Tundra Bean Goose near Ancum and Greenland White-fronted Goose noteworthy with a handful of adult male Blackbirds (including an attraction casualty), a few other Thrushes and Meadow Pipits all around the Lighthouse walls offering some evidence of newly arrived migrants plus a female Sparrowhawk was at Holland gardens late on. 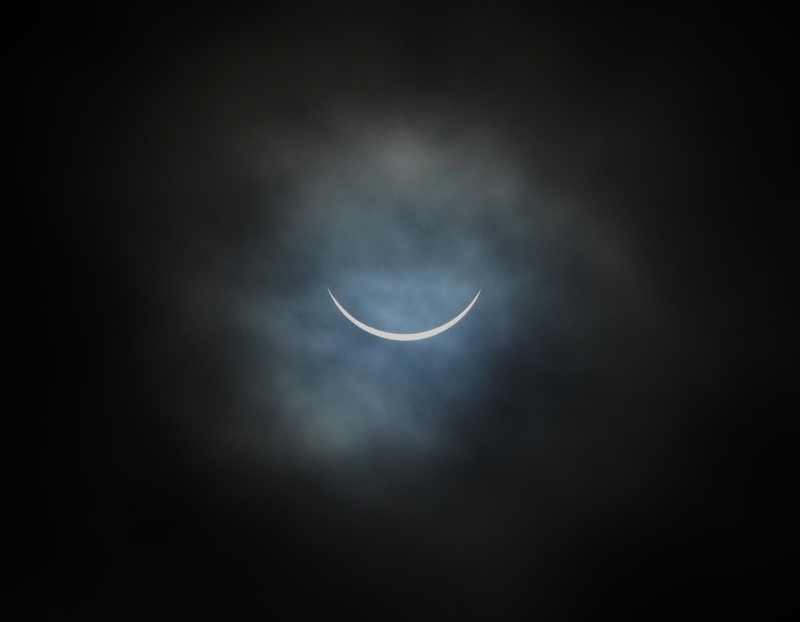 Our attempts to capture the partial, solar eclipse on 20th-the cloud actually helped photography! Were now into census coverage, with half the island covered on rotation each day. As a result most of the lingering scarcities are reported more regularly with the Green-winged Teal, Tundra Bean Goose, 3 Greenland White-fronted Geese and 2 Pink-footed Geese noted on the first 2 dates. 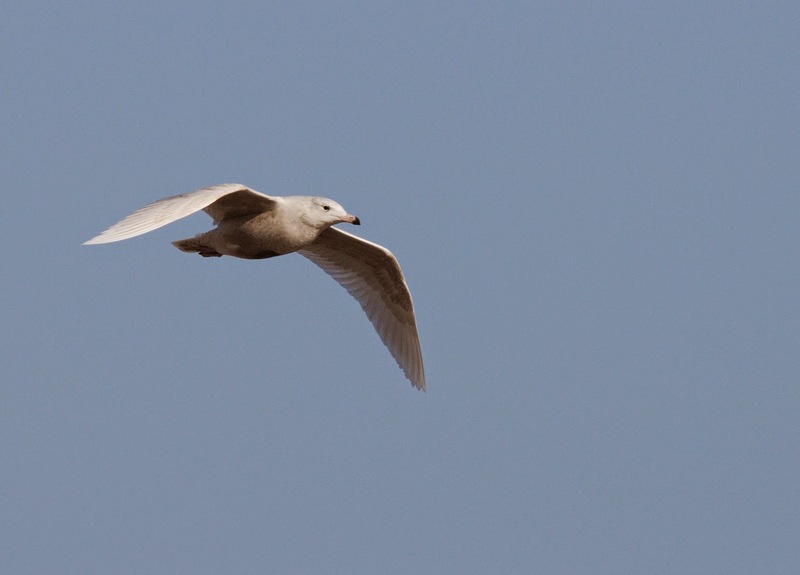 The juvenile Glaucous Gull was last noted 17th while a gorgeous sunny day on 18th unsurprisingly produced the most passerines. Counts for the day came to 4 Stonechats (4 also 17th and 2 females 19th), 27 Rock Pipits, 8 Song Thrushes, 31 Blackbirds, 28 Fieldfares, 31 Redwings, 58 Twite and 2 Linnets. 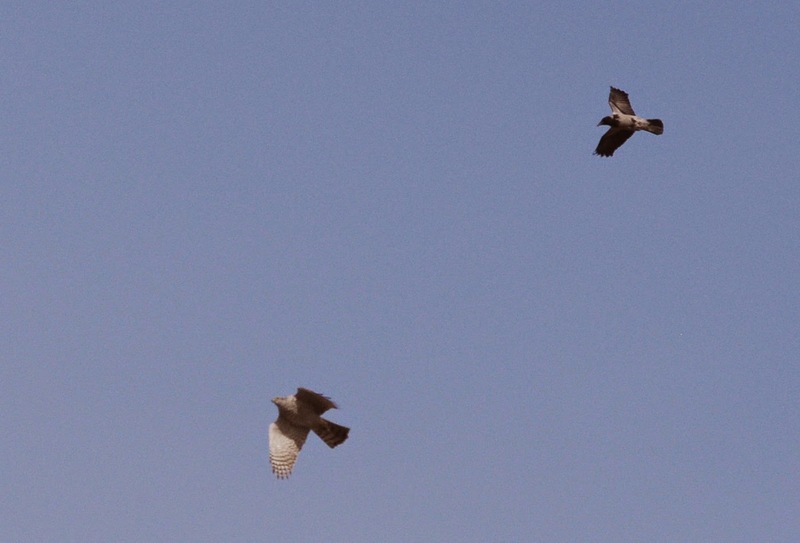 There was also the first Kestrel of 2015, with Merlin, Peregrine and Hen Harrier also recorded. A couple of Woodcocks were seen 17th with presumably the same Black-tailed Godwit again 19th when it was good to see Black Guillemots ashore for the first time. 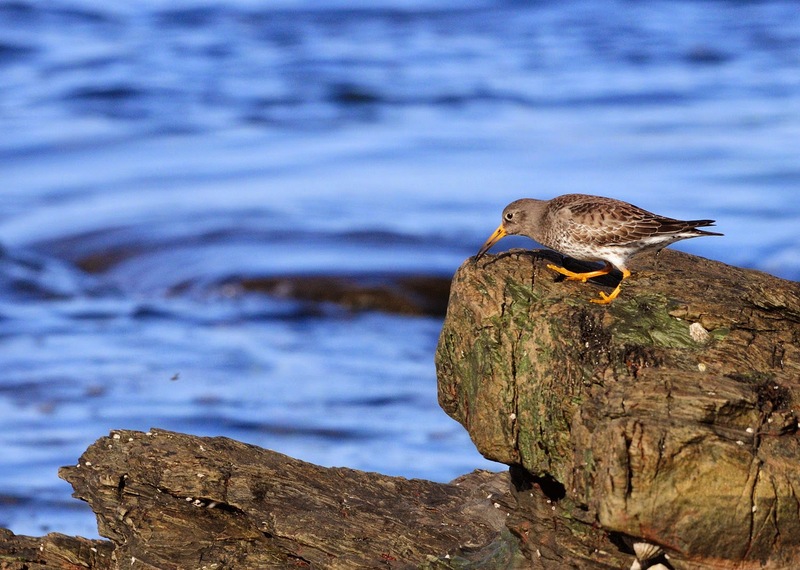 Determining the exact number of birds recorded during the recent influx is proving difficult as individuals roam widely but 12-15 seems a reasonable estimate. This male caught and ringed at the Observatory early morning on 18th was only the fourth Stonechat to have been done so. 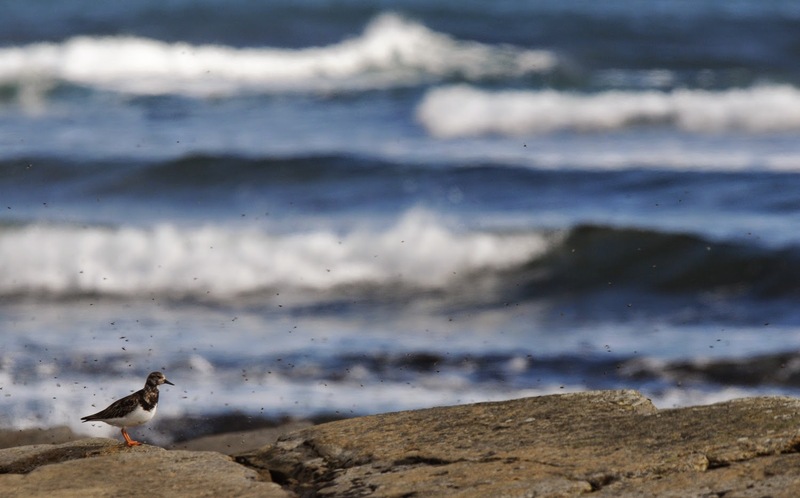 With the winds having veered ever so slightly to the south-east its started to feel a bit more like spring, although that first Wheatear still seems a week away yet. 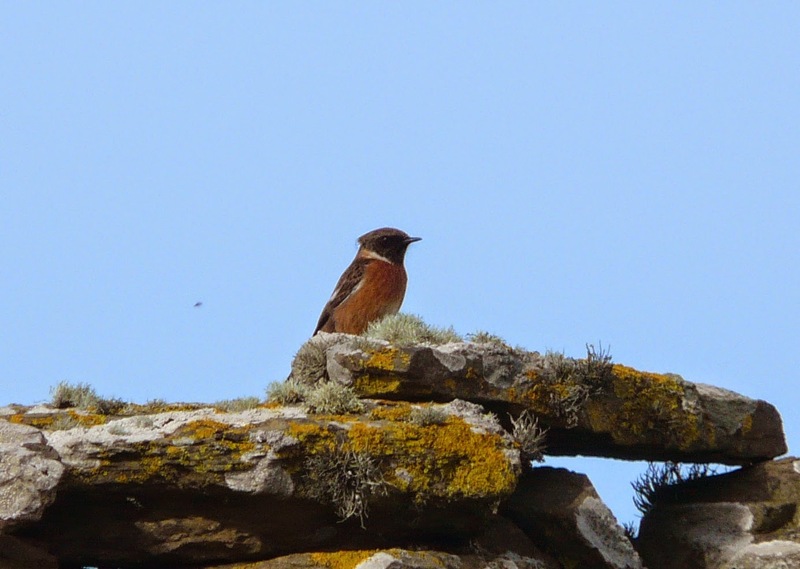 The main talking point has been the influx of Stonechats-usually a scarce visitor to the island at this time of year, we were treated to 3 birds on both 14th and 15th before a day record of 7 were logged on 16th (pairs at Nether Linnay and Senness, 2 males near the Airfield and a further male at the south end). 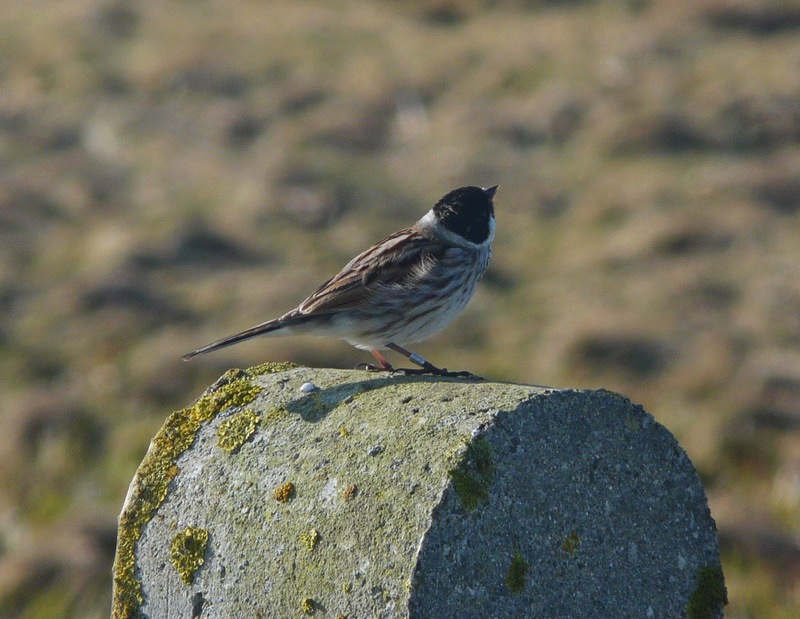 Skylark passage has also been stronger over recent days with 143 on 14th building to the spring peak so far of 262 on a sunny 15th. 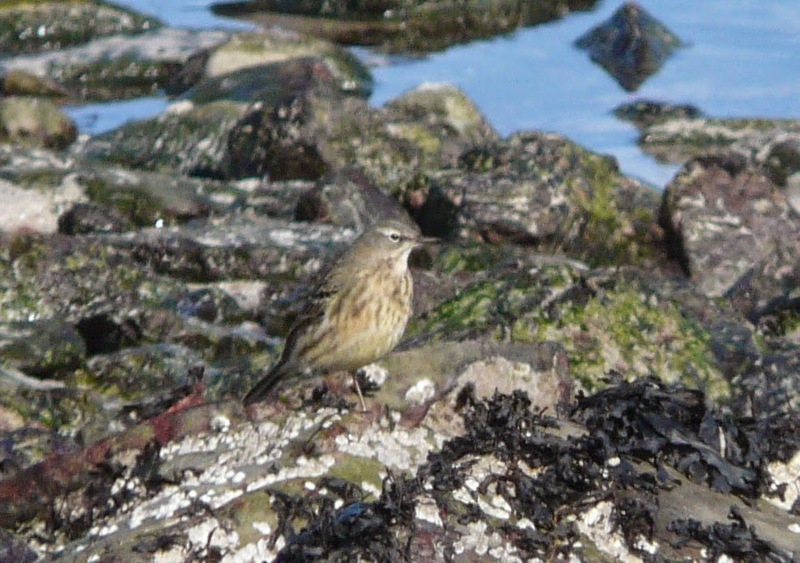 Meadow Pipits are still only trickling in slowly but Rock Pipits have been much more conspicuous with 12 counted on 15th increasing to 20 the next day and single 'littoralis' (Scandinavian) types were picked out on both dates. 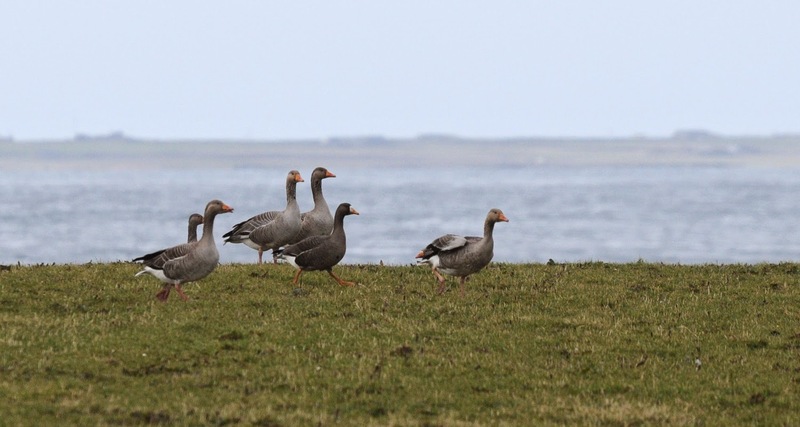 A third juvenile Glaucous Gull joined the lingering pair on the links golf course on 15th, when a Black-tailed Godwit was on Ancum and the other notable non-passerines have been different Greenland White-fronted Geese on 15th and 16th and a Woodcock on the latter date. 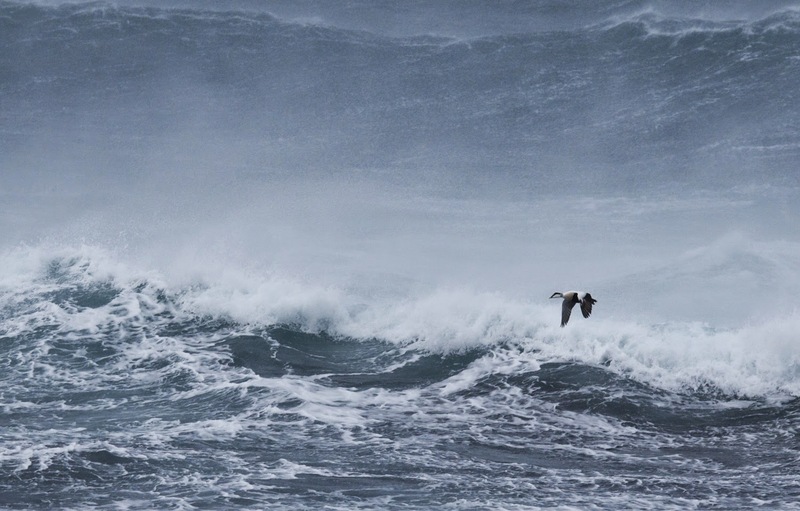 The first few days were all about the wind, with storm force conditions making life difficult standing up let alone focussing binoculars. The 13th though was a different story, with not even a breath of wind and glorious sunshine for most of the day and there were even a few spring migrants to go with the at last, better weather. New birds for the year included the first Pied Wagtail on 11th, with 8 present by 13th followed by singles of Sparrowhawk, Stonechat and Rook all on 13th too. 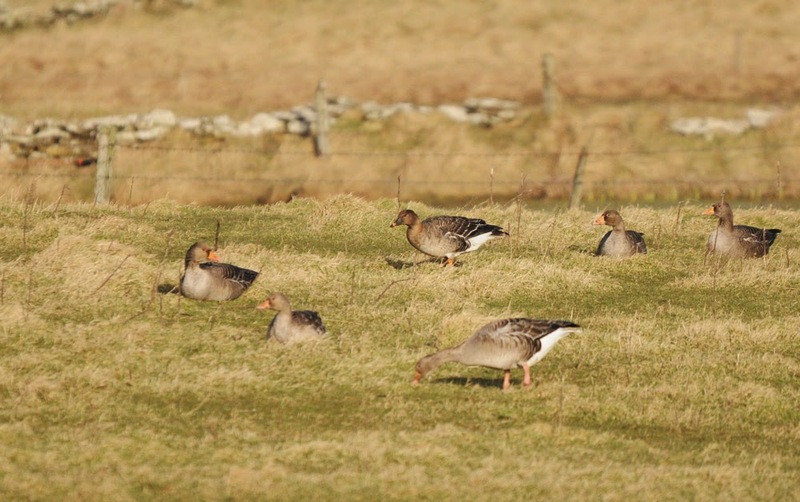 The Hooking Tundra Bean Goose was seen on the first 2 dates, with 2 Greenland White fronted Geese that day and 1 subsequently, while the Green-winged Teal put in an appearance on 13th. Both the usual Glaucous Gulls were noted on 12th, with a single 11th and 13th while a 2nd winter Iceland Gull was off Bridesness on 10th. A Woodcock on 13th was new, with up to 2 Hen Harriers, a Merlin and a Peregrine more likely lingering individuals. 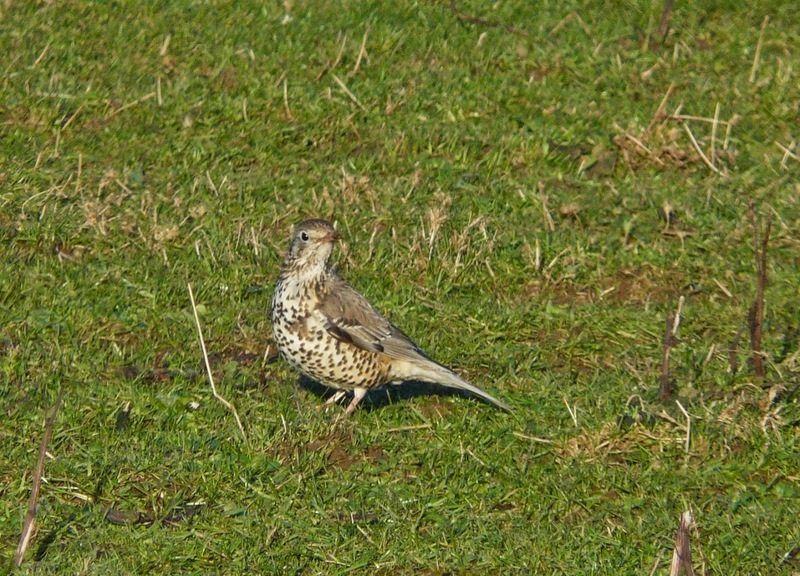 There's also been slightly more passerine interest than of late with the Mistle Thrush still present on 10th, along with a small arrival of Fieldfares and Redwings on 13th when a Siskin passed above and Skylarks, a few more Meadow and Rock Pipits also clearly passing through with the improvement in the weather. Daily signs of spring have kept interest alive in weather which still feels very wintery. 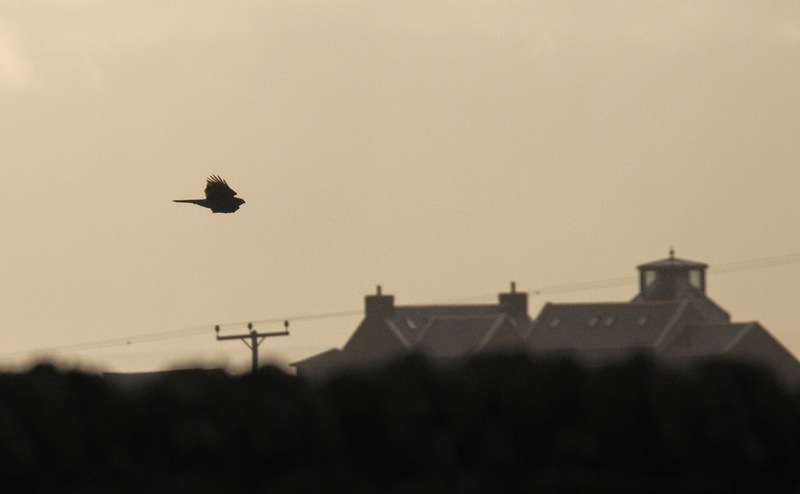 Three new species for the year on each day were a Jackdaw on 7th, Mistle Thrush on 8th and Great Skua on 9th-although the finding of the latter freshly dead having seemingly hit wires was such a shame for a bird having survived a winter at sea. Other sightings during the period were of the Green-winged Teal again on Gretchen Loch on 7th and a Greenland White-fronted and Pink-footed Goose present throughout. The 2 lingering Glaucous Gulls were joined by a 3rd juvenile at Bridesness on 7th with the male Hen Harrier seen again on 8th. There's no Sand Martins, Wheatears or the joys of spring as is just beginning to arrive on the British south coast for us just yet. Having said that, we put the nets back up at Holland gardens on 3rd in anticipation of things sparking into life some time soon. 'New' birds have been limited but did include another juvenile Glaucous Gull on 4th, with our 2 seemingly resident birds lingering throughout and all 3 seen on 5th. The 'school' Tundra Bean Goose was seen on 5th with the 'kirbest' Greenland White-fronted Goose noted 4th while the American x Eurasian Wigeon hybrid re-appeared at Bridesness also on 5th. 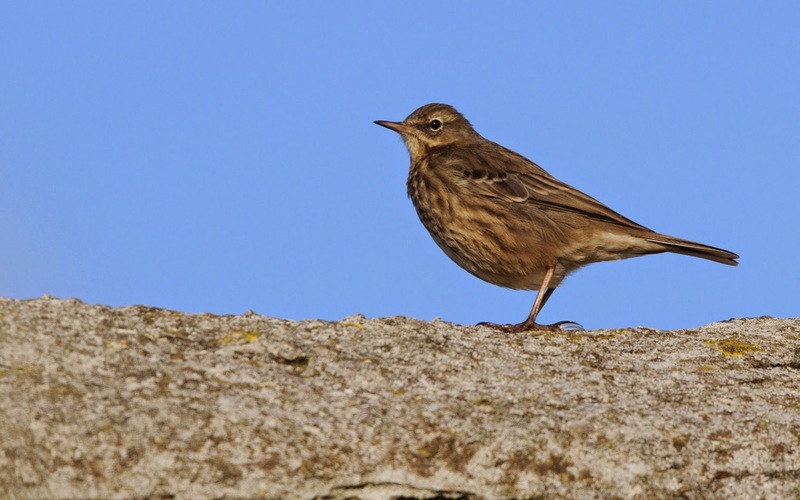 Even Skylark passage seems to have ground to a halt, with few early in the period although 35 had gathered in the south by 6th. Otherwise its just the same 3 Hen Harriers, a Jack Snipe, a Chaffinch and up to 65 Fieldfares making up the rest of the news. So apparently its spring now, but in the cold wind it didn't feel like it on 1st. The same 'interesting' Geese were recorded on both dates with the Tundra Bean Goose still near the school, the 2 'new' Greenland White-fronted Geese near Holland, plus the Pink-footed and the 7 Barnacle Geese. The drake Green-winged Teal made it into the new month being seen again at Gretchen on 2nd, as did both the juvenile Glaucous Gulls the same day. Other sightings from the 2nd were of another Jack Snipe at Kirbest, growing numbers of Skylarks with 67 present and a 'dark phase' Fulmar flew over the Links golf course heading west. Wet and windy throughout with coverage on the 27th only. A trek against the gusts up the west coast of the island yielded a smart adult Iceland Gull fly south while a Jack Snipe was flushed from Gue Park. 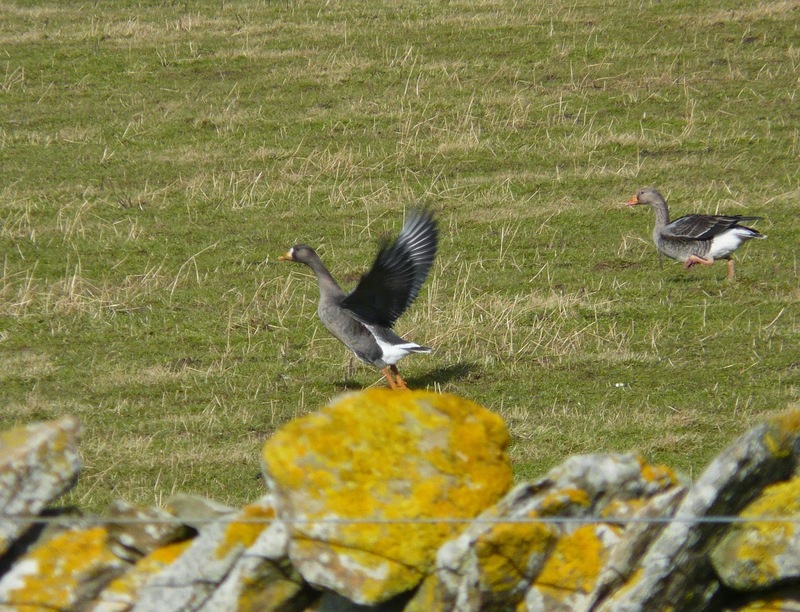 Otherwise it was just the Geese providing interest and no sooner had we confirmed a second Greenland White-fronted Goose a few days ago, a third arrived, this time an adult with both the new birds seen in the Holland area.